Jewell Railway Station in Brunswick as part of a government push to renew infrastructure. Neometro to redevelop two run-down, low-rise buildings on the eastern side of the historic railway station into residential apartments, alongside open space with shops, cafe, community garden and public art. 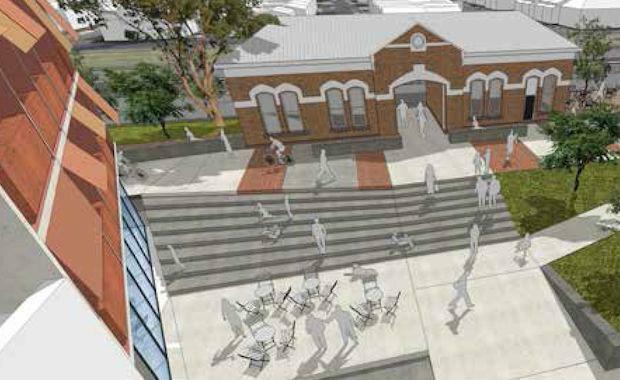 The $70 million project, part of the Jewell Station Precinct, would revitalise the station, Transport Minister Terry Mulder told The Age. "Neometro was selected from a field of 22 developers and is the right partner to work with the community to reinvent this precinct," Mr Mulder said. Neometro Director, James Tutton, said plans to rejuvenate the area included demolishing two buildings and reconstructing on their footprints with public space in between, in front of the station's main entrance. Additionally, the heritage station building will get a makeover as part of the project. Neometro wanted it to be an "exemplar" of integrating community gardens, contemporary art and public performance in a medium-scale development, Mr Tutton said. "Business can deliver on both profit and social and community outcomes. That's important for VicTrack, it's important for Neometro and it's important for Besen, our capital partners," he said. Neometro has several projects under development, including Nine Smith Street in Fitzroy and 126 Walsh Street in South Yarra, that are also backed by Besen Group - one of Melbourne's wealthiest families. The upgrade will cater for the existing Upfield line bike path which runs along the railway line. Neometro will purchase the land as part of the deal but VicTrack will have control of the development process. Mr Mulder said the government had a pipeline of approximately one billion dollars of redevelopments and station improvement works. The Ikon project in Glen Waverley, part of the same "station precinct enhancement program", was completed in 2013. There, VicTrack partnered with Consolidated Properties on a similar-sized $70 million development of an office, retail and residential building with 116 apartments. VicTrack's next station upgrade will be in Hampton.